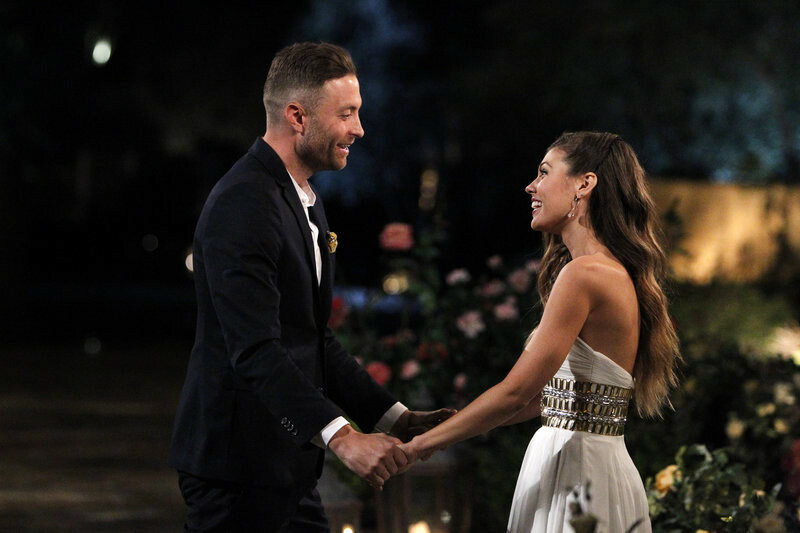 Britt Nilsson was sent home on The Bachelorette season premiere after the bachelors chose to vote Kaitlyn Bristowe in as the new Bachelorette instead. (Watch the emotional moment above.) Britt was heartbroken -- she felt strongly that her future husband could be in that group of guys. And she might still be right. Brady meets Britt on Arrivals Night at the Bachelor Mansion. Once Brady met Britt at the Bachelor Mansion, he took a liking to her immediately, and nothing that happened on that night changed his mind. We’re happy for both of them, and they really do seem like a good match as two sweethearts who wear their hearts on their sleeves. And neither is afraid to take risks. We wish them the best!